Find meaning at work and advance in your career. | Charlotte Weeks, Weeks Career Services, Inc.
One of my FAQs from job seekers is if a picture should go on a resume. While there are always exceptions, in most situations the answer is no. Read my recent LinkedIn post to learn why including a picture could be an obstacle to receiving an interview: Should I Include My Picture On A Resume? How you feel about going to work. Do you dread getting up and going to work on Monday? Does that dread spread its way into your weekend? Do you find yourself complaining about your job to others? You feel physically or emotionally threatened at work. If you are in danger physically or psychologically at work, you should start developing your exit strategy. Your skills are becoming obsolete. Technology has had a dramatic impact on almost every industry, and if it’s affecting your job, you may find you have a gap in the skills you need to be successful in doing your work. You are overwhelmed by your job. If you find yourself constantly worried at work because you can’t handle the responsibilities of the role, or you didn’t get enough training to help you master critical tasks, that can make it very difficult to enjoy your work. You’re bored at work. Maybe you’ve been in your position for several years and you’re just not excited anymore about the work you’re doing. If you’re not growing in your job, it’s easy to start thinking about doing something else. There is little to no room for advancement in your current job. Maybe you’ve worked your way up to the top spot you can get in the company. This is especially true in smaller companies, where a limited number of management positions are available. Company politics are affecting your work. For example, you work for a family-owned business and there is animosity among the family members. If your job requires you to do something that you no longer enjoy doing. For example, traveling four out of five days of the week might have been fine when you were in your 20s, but it’s wearing on you now that you’re in your 30s and have a family. Or you take customer service phone calls, but you’re tired of dealing with angry callers. You researched competitive salaries for your type of job and discovered that your company pays less than the industry average. If you’ve asked for a raise and were turned down, you may be motivated to seek out better compensation elsewhere. There is little or no opportunity for increasing your salary significantly in your current position. How are raises or requests for salary increases handled at the company? Is there a regular performance review process? Are there opportunities to increase your salary much beyond 2-5% annually? You realize you’re not getting any younger. If the thought of working for this company for another year — or five years — makes you feel your mortality, it may be time to make a change to a different path. What you’re doing now isn’t your passion. Is there an opportunity for you to turn something you’re doing as a hobby into a full-time job? Or could you start a business of your own? You have a different plan for yourself. Maybe you didn’t see yourself staying at this job, or in this career, for this amount of time. If your long-term goals aren’t aligned with what you’re doing now, it may be time for a change. The company you work for was bought (or they bought another company). Both of these can impact your job as company management assesses redundancies in personnel between the two companies. There’s been a change in leadership in your department or in the company. One of the top reasons for making a job change is when you get a new boss. Maybe he has his own former employees he brings into your department, or maybe his leadership style just doesn’t feel right to you. You were asked to do the same job for less money. If this hasn’t ever happened to you, you may not believe it’s possible, but some companies ask their employees to take a pay cut but continue to do their full workload. If you can’t afford to make less but work the same amount — or more — this may prompt you to look for a new job. Your workload was reduced, along with your opportunity to earn more. If you work in commissioned sales, you may find your sales territory reduced, which may impact your ability to earn even the same amount as before. You’re in a dead-end job. For whatever reason, the job you’re in now is “the end of the line” with this company. Folks who make it this far at this company usually don’t advance any farther, and generally retire from this role. The industry you work in is dying or going through significant changes. Consider the mortgage industry in 2008, or the newspaper industry today. Or the feast-and-famine cycle of the oil-and-gas industry. If you’re in an industry that is likely to go “bust,” the decision to change careers may not be left up to you. Remember, you want to assess whether the internal and/or external factors that are prompting you to consider the change are temporary (short-term) or something that would permanently affect you. You should also assess the “temperature” of these factors and how they affect you. Some of them may be more of a minor inconvenience, while others may feel unbearable. For example, while you may be working in a dying industry, as long as you have a job, you may not be interested in switching jobs or changing careers. But you’re a frog in a pot of water that is slowly heating up. The question isn’t “if” you will eventually be affected by changes in the industry, but “when.” If you take charge of managing your career, you will be in a better position to handle any change, and not just react to it. Performance appraisal. Your annual review. This once-a-year process usually involves a self-assessment as well as feedback from a manager. If this is your first appraisal at your company, find out how it’s typically handled — and what it involves — either by asking co-workers or your manager. Reviewing your goals and plans from your last review — have you made progress? Have any of the priorities from the previous year’s review changed? Next, you’ll want to come up with your list of activities, projects, and accomplishments since your last review. Be sure to quantify the accomplishments. Your manager may not be aware of everything you were working on, so preparing a brief summary is important. What does your manager need to know before he or she meets with you? Your manager may also ask you to prepare a self-assessment. Some companies provide a form for you to complete the self-assessment. Others may give you some open-ended questions. The purpose of the self-assessment is to help your manager get perspective on your work performance and accomplishments. When responding to questions on the self-evaluation form, look at the list of activities, projects, and accomplishments you prepared and use that information to substantiate your responses. The self-evaluation form allows you the opportunity to provide additional insight about your contributions as part of the performance review process. Even if your manager doesn’t give you a formal self-assessment to complete, reviewing your own performance is a necessary part of preparing for your review. As part of this exercise, you should also prepare your goals for the upcoming year. The goals should be specific assignments to participate in, learning objectives, or aligned with ongoing or future projects. Another part of the assessment process may be a “peer evaluation,” where your co-workers are given the opportunity to provide input on your work performance. Ask your manager their preference — do they want to review the information before your meeting, or should you bring it with you to the meeting? On a scale of 1 to 10, where 10 is someone about to be promoted, and 1 is someone about to be fired, what number would you rate me? How are you measuring my success in this position? What individual and company goals should I be focusing on? What aspects of my performance stand out? Which areas should I focus on for improving my performance? Can you provide me with specific examples of a time when my performance did not meet your expectations? How would you prefer I had handled that situation? You may find that your boss sees situations from a different perspective, which can help you improve your performance, even if you don’t think you handled a situation poorly to begin with. Because your boss is the person evaluating your performance, you want to make sure that your performance aligns with his or her expectations. If you disagree with the criticism, don’t get into an argument with your boss about it. Instead, think about what you are hearing. In particular, if you are surprised by what is brought up, take the time to think through the situation instead of responding defensively during the performance review. Most employee reviews provide a rating based on a scale from “Exceptional” (consistently exceeds all relevant performance standards) to “Needs Improvement” (consistently falls short of performance standards) across several areas — job knowledge, performance, communication, leadership, teamwork, customer service, quality of work, initiative, interpersonal skills, conflict resolution, ethics, etc. This information can be used to determine your future responsibilities (and promotions), work relationships, and salary. “What gets measured gets managed,” so make sure your ratings accurately reflect your work performance. If you’re unsure about a rating, ask for clarification. What If You Have A Bad Performance Review? If you are surprised by a negative performance review — and, in particular, if you feel that your review was not accurate — ask your boss if it would be possible to avoid having the review made part of your permanent record until you’ve had a chance to analyze the information in more detail. Is the information correct? Are there errors that need to be corrected? If you previously had received positive performance reviews, assess what may have changed. Do you have a new boss? Has something in your personal situation changed that is affecting your job performance? In some cases, it may be a simple misunderstanding: You were focused on objectives that you thought were important, but your boss was measuring your performance based on a different standard. Getting clarity about how your performance will be assessed is critical to your future success with the company. You can also ask your boss about the impact of the negative performance review. Is your job in jeopardy? (Will you be put on probation? Are there specific measures you need to meet by a certain deadline to rectify the deficiencies that were identified?) Make sure you are clear about next steps — what do you need to change or improve both immediately and in the future? Ask to schedule a follow-up meeting — and set a specific date for that meeting. Continue to communicate with your manager about your progress towards fixing identified deficiencies. Also continue to track your activities, projects, and accomplishments. You should start preparing for your next performance review as soon as you complete your current review. Don’t just file the paperwork away. Use it to guide your work. Review your objectives monthly to ensure you are on track for the expectations your boss established. In particular, if you had a poor review, make sure you are scheduling regular meetings with your boss to ensure you’re on track to improving your performance. If you haven’t already, start a journal to track your performance. Develop a system to collect information from third parties — customers, co-workers, vendors, etc. that can be used in next year’s performance review. When you have meetings with your boss between your annual performance reviews, be sure to take notes. As you think of things you want to ask about in your next meeting, write them in your journal so you can find them easily when it’s time to meet. If you’ve been looking for a new position and haven’t landed yet, it’s worth evaluating your approach to determine what might not be working. Go through this list and see what applies to you. Then, follow the suggestions to learn how to turn things around. Not Targeting Your Job Search. What kinds of jobs are you interested in? What kind of company do you want to work for? If your answer is, “I don’t care, I just need a job,” your job search is less likely to be successful than if you spend some time thinking about where you want to work, and what you want to do (and how to get there!). Confusing Activity With Action. Are you confusing “busywork” with progress? Are you spending a lot of time researching jobs online and applying for lots of positions? While it’s recommended that you spend at least an hour a day on your job search if you are currently employed (and two to three times that if you are currently unemployed), make sure you are tracking how much time you are spending, and what you are spending it on. Spend your time on high value tasks — like identifying and researching companies you’d like to work for, and trying to connect directly with hiring managers and recruiters, and having coffee with someone who works for the company you’re applying at — and not just simply spending time in front of your computer. Paying Too Much Attention To Other People’s Opinions. “You have to do this,” “Never do that.” Everyone’s got an opinion about how to conduct a job search. Some of it is confusing, and some of it is just plain wrong. Your friends and family can be wrong about how the job search works, and it might hurt your chances to get your dream job. Trust your coach or mentor, and trust your instincts. Don’t believe everything you read online, and remember that one person’s opinion is just that — one person’s opinion. For more on this topic, check out What To Do When You Receive Conflicting Career Advice. Doing The Same Thing Over And Over Again And Expecting Different Results. “I applied for six jobs and haven’t heard anything back.” Well, then something’s not working. Either stop applying for advertised positions, start following up on the applications you’ve already put in, or figure out a different way to connect with your dream job. It’s been said that “the definition of insanity is doing the same thing over and over again and expecting different results.” If what you’re doing isn’t working, do something different! Not Paying Attention To What Worked For You Before In Your Job Search. This is the opposite of doing the same thing over and over again and expecting different results. This time, we want you to achieve the same result as before — a great job. So look at what worked for you the last time you landed the job you wanted. 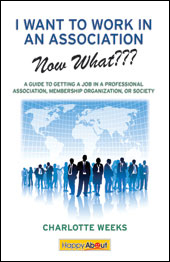 Were you networking at a professional association meeting? At your child’s basketball game and struck up a conversation with the person next to you? Or did you apply on a company’s website? Consider doing more of what worked for you last time and see if it works for you again. Forgetting That People Hire People. It’s easy to get overwhelmed by the technology in a job search. How to make your resume ATS-friendly (meaning, helping it get through the Applicant Tracking System software that many large companies use). How to use LinkedIn in the job search. Don’t forget that ultimately, people hire people. Connecting to the right person at a company can make the difference between getting hired, and not even getting a response to your application. Getting Frustrated And Giving Up. The average length of time for a job search has steadily increased over the past few years. In a recent RiseSmart survey, 40 percent of hiring managers report conducting between 3-10 interviews before extending a job offer, and nearly three-quarters of those surveyed said their hiring process is three weeks or longer. So don’t be discouraged if it takes days… or weeks… to hear back after applying or interviewing. Not Spending Enough Time On Your Job Search. You’ve probably heard it said that looking for a job is a job in itself. That’s partially true. Yes, some people will hear about an opportunity from a friend and get hired (sometimes without even applying). But for the vast majority of jobseekers, you’ll have to invest time in getting your resume prepared, applying for positions, following up, and more. Spending Too Much Time Online. It’s easy to think that a modern job search can be done entirely online. But it’s estimated that 75 percent of jobs are never advertised — so it’s likely that the job you want can’t be found while you’re sitting at your computer. Get out and talk to people you know, and meet new people! Only Applying For Advertised Jobs. Research shows that up to three quarters of job openings are never advertised publicly. Many of these are filled through employee referrals and word of mouth. And sometimes, you can apply to a company for a job that doesn’t even exist yet. Yes, companies do create jobs. Sometimes they will meet a candidate and not have a current opening that would be a match. In that case, they will sometimes create a new position that takes advantage of the candidate’s knowledge and experience. Networking The Wrong Way. Second only to not using your network at all is using it incorrectly. Your network is comprised of all the people that you know and also all the people that they know. Don’t just think that because you don’t personally know anyone who works for Company ABC that you’re out of luck using your network. Ask the people you know who they know. But remember that networking requires relationship building and relationship management.